She was a tireless advocate for efforts to promote diversity and set in motion the work that is still being done today. Under her leadership, the Public Member Committee launched initiatives to consider and publish ABET Expert diversity statistics, issue a formal policy on diversity, and create the President’s Award for Diversity in 2005. 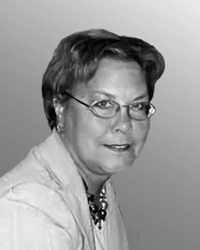 Dr. Felbinger passed away suddenly in her home on May 28, 2008. To honor her legacy, the award that she helped create now bears her name. Ignatios Vakalis, Ph.D., is a professor of computer science and software engineering at Cal Poly, San Luis Obispo. He began his diversity work as a professor of mathematics and computer science at Capital University in Ohio, where he worked to recruit more women in the field of mathematics. He also co-organized and chaired three international conferences on the teaching of mathematics, with a vision was for the conferences to be inclusive and promote gender and ethnic diversity. 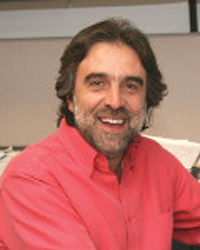 Vakalis joined Cal Poly in 2006 and served as chair of the computer science and software engineering department for 10 years. During this time, Vakalis– with the support of his colleagues– developed and implemented a multi-year strategic plan to draw more women to the computer science program at Cal Poly. When he began, females accounted for roughly 9 percent of the computer science and software engineering students. By 2017, the number had increased to almost 30 percent. Recipient and their work will be featured on the award page, recognized in a press release, ABET news announcement and ABET social media pages. The Claire L. Felbinger Award for Diversity and Inclusion, like all other ABET Awards, is given to a nominee selected by his or her peers. To learn more about the process and criteria involved, or to nominate one of your peers, download and review the nomination kit below. The deadline for nominations is April 30th, and only complete nominations with references will be accepted. A dedicated educator who works to enhance the success of students from underserved minority communities and a thought leader who shifts the paradigm of engineering education to build a diverse and inclusive workforce. Learn more. For tireless, long-term advocacy of diversity, for leadership throughout her career mentoring and promoting underrepresented colleagues and students and for founding the Engineering Ambassadors Network with its outreach emphasis. Learn more. In recognition of the Anita Borg Institute’s outstanding commitment and contributions to increasing the representation of women technologists in the global workforce and its worldwide impact on enhancing technology. Learn more. For visionary leadership as founding director of the PROMISE: Maryland’s Alliance for Graduate Education and the Professoriate and her commitment to achieving greater diversity and inclusion in technical fields. Learn more. In recognition of WEMS’ exceptional and enduring commitment to developing programs for the recruitment, retention and professional success of women in the STEM fields. Learn more. For her role in establishing best practices to engage members of underrepresented groups, initiating recognition for mentors, and supporting minority graduate students and career-life balance. Learn more. For their success in the development and implementation of programs that focus on the recruitment, retention, and graduation of women and minorities in engineering. Learn more. In recognition of sustained success in deploying integrated programs for faculty, pre-college, undergraduate, and graduate students to increase the diversity and success of populations underrepresented in engineering. Learn more. In recognition of their long-standing commitment to supporting women in their engineering pursuits and of their collaborations with alumnae and nonprofit partners to engage diverse pre-college student populations in STEM. Learn more. In recognition of a pioneer and champion of diversity whose lifetime of service and leadership in engineering education has created opportunities for generations of underrepresented and underserved students to earn degrees from ABET-accredited engineering, engineering technology, and STEM programs. For successful creation, implementation, and growth of annual events and programs focused on inclusion of underrepresented populations into the field of engineering, including Introduce a Girl to Engineering Day, reaching 1 million K-12 girls annually; the Global Marathon For, By and About Women in Engineering and Technology, a ìvirtual town squareî connecting women via live Internet chats, webcasts, and local events; and Future City Competition, reaching over 33,000 middle school students (46% of all participants are girls) in 36 regions across the country. Learn more. In recognition of implementing initiatives and programs to dramatically increase the number of underrepresented minority students prepared to engage and excel in engineering education; being the nationís largest private provider of scholarships for underrepresented minority students in engineering; and collaborating with educational partners to launch a national network of urban-centered, open enrollment, high school engineering academies to provide all students with a strong science and math education to assure college readiness for engineering study. Learn more. For their successful development and on-going operation of programs to provide encouragement and support for diversity in engineering through pre-college programs, recruiting efforts for prospective students, and programs to support current underrepresented engineering students. Learn more. For a collaborative effort between four Michigan community colleges ñ Ojibwa, Delta, Grand Rapids, and Wayne County Community Colleges ñ and Michigan Technological University for successful efforts to significantly increase the transfer of underrepresented ethnic minority, first generation and economically disadvantaged students into Michigan Tech’s four-year baccalaureate program. Learn more. In recognition of extraordinarily successful initiatives for recruiting undergraduate and graduate students from diverse and disadvantaged backgrounds, retaining them through the bachelor’s degree, and advancing them to graduate studies and careers in engineering. Learn more. In recognition of the creation of a unique engineering program formed from the partnership between a Research-1 and a historically black university that has succeeded by being among the top five engineering programs in bachelor’s degrees awarded to black students as well as among the top ten in graduate degrees, and for successfully serving more than 40,000 diverse middle and high school students through outreach programs. For its leadership and accomplishments in attaining significant achievements in diversity facilitated through innovative programs such as the Center for Academic Success in the College of Engineering and Computer Science (CASECS) and Engineering and Computer Science (ECS) Scholars. Learn more. For the successful, broad, and ongoing spectrum of initiatives, including K-12 Outreach, Bridge Programs, Curriculum Enhancement, Faculty Development, and Work-Life Balance, to attract women to science, math, and engineering, to retain them through graduation, and to support them as they embark on their professional careers. Learn more. For its commitment and achievement in hiring female faculty and in recruiting, retaining, and graduating a significant number of women in undergraduate and graduate engineering programs while providing the graduates with leadership skills and opportunities as they enter engineering practice. Learn more. For the development and operation of a successful hands-on, project-based university campus summer program for underrepresented high school students and their teachers that increases awareness of information technology skills and careers and enhances the students’ aspirations for a college education. Learn more. For their long-term and collaborative efforts to aid African-American, Hispanic, Native American, female, disabled, and first generation students in engineering, computer science, and construction management in enhancing their academic performance and reaching their full potential. For previous and ongoing promotion of MESA (Math-Engineering-Science Achievement), including sharing procedures and techniques with a broader audience in promotion of math, engineering, and science among underrepresented groups. For success in promoting and including American Indians in the engineering and science disciplines and promotion beyond the campus borders. For working with the nation’s tribal colleges and universities (TCUs) to create the first comprehensive program for developing, implementing, and sustaining engineering studies ever designed by and four TCUs, seeking funding for the plan’s implementation, and engaging major engineering organizations such as ABET and the National Academy of Engineering to further its success. For success in educating and enriching the K-16 population of FIU and its surrounding Miami Dade County through bridge programs, dual enrollment, scholarships, undergraduate research experience, and an annual open house event, Engineering Gala, that is attended by more than 1,000 local middle and high school students; and for graduating more Hispanic engineers and computer scientists than any other college in the United States (excluding Puerto Rico). Learn more. For providing a supportive atmosphere for its diverse student body and actively encouraging young women to enter the field of computing by hosting the annual Women in Computing Symposium and the Trendsetters Conference on Nontraditional Careers. Learn more. For its commitment to providing engineering and science education to a predominantly Hispanic, economically disadvantaged region by extending outreach to precollege students, parents, and teachers in El Paso and in Ciudad Ju·rez, Chihuahua, Mexico, steadily increasing the enrollment of engineering students from the area and attracting more underrepresented or economically disadvantaged students to technical disciplines. Learn more. For its distinction in producing more minority faculty than any other institution in the United States, which is critical to the growth of minority representation in the breadth of colleges and universities throughout the country. Learn more. For its impressive record in attracting and graduating minority students. During the 2002-2003 academic year, the college conferred 160 bachelor’s degrees in engineering, and nearly half of them, 76, went to minority students. Fifty-eight of those degrees, or 36 percent of the overall total, were awarded to Hispanic students. The UTSA College of Engineering was recognized for this accomplishment. Learn more. For developing a cooperative program between Tulane University and Xavier University of Louisiana, a Historically Black University, whereby students from Xavier take classes at Tulane in their senior year in preparation for entering the industrial hygiene masterís program at Tulane the following year. Learn more about Tulane and Xavier.